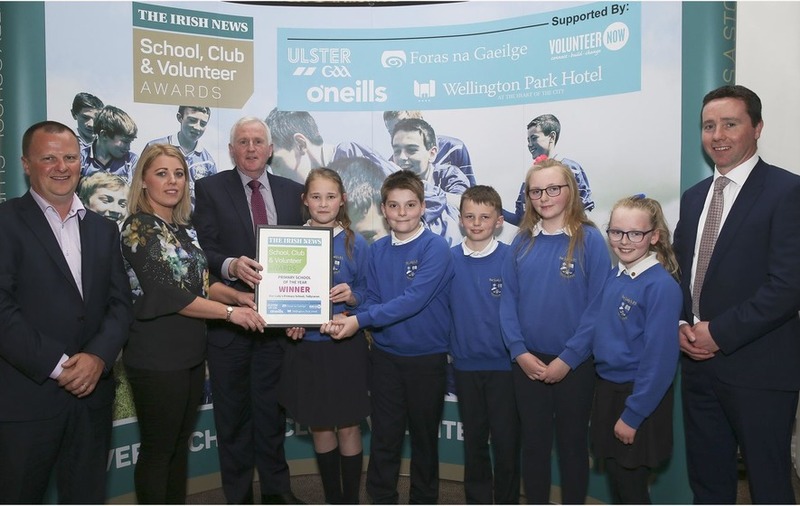 Pupils and teachers from Our Lady’s Primary School, Tullysaran win the Primary School of the Year at the Irish News School, Club and Volunteer awards. A passion for gaelic games will grow all the stronger when nurtured from an early age. The value of participation in sport in terms of creating a healthy balance between mind and body has been tapped into at Our Lady's Primary School, Tullysaran, Co Armagh. And pupils have thrown themselves with boundless enthusiasm into a coaching programme led by school principal Tomas McKee. Striking up a strong partnership with the local O'Connell's GAA club, the school has become a hub for gaelic football, hurling and camogie. Right from early school days in P1, the fundamental skills are passed on by willing coach volunteers from within the school and from local clubs. Gaelic games are being promoted at Our Lady's PS through a range of initiatives, with P1 to P4 children participating in fundamental skills sessions, while P4 to P7 children are enjoying gaelic football lessons. 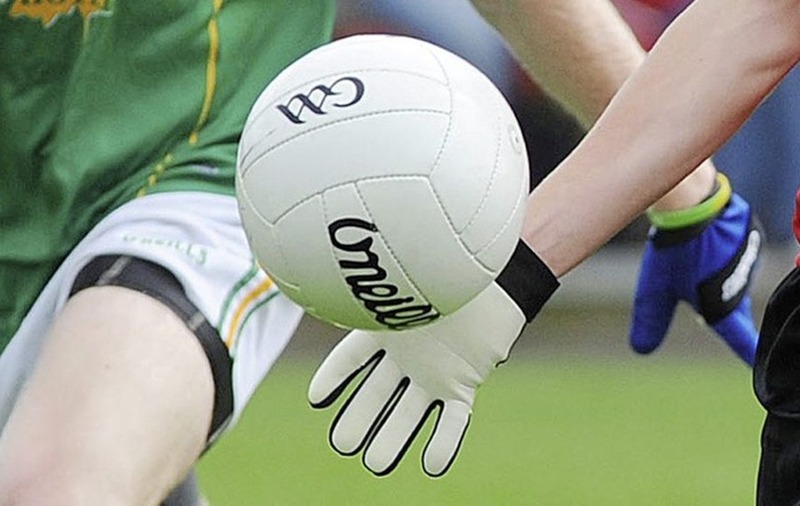 "Throughout our school we are trying to promote active and healthy lifestyles, and one of the ways we have done it is by promoting gaelic games right throughout the school," said Tomas McKee. The most recent initiative is the establishment of a P6 and P7 after-school gaelic football club, which takes place, free of charge, every Tuesday, with coaching provided by the school principal and by the chairman of the board of governors, Kevin Curran, who is an Ulster GAA coach. "It's for boys and girls and it has been running since before Christmas, and we have up to 30 children participating in that every week," said McKee. The school is also affiliated to Cumann na mBunscol Ard Mhacha, and has competed in girls and boys football blitzes throughout the year. "Our boys reached the final of the medium-sized schools competition, the Malachy McGeeney Cup, a county-wide competition, and we lost to Dromintee in the final. Kevin is also the school's link officer with O'Connell's GAC, Tullysaran, and a strong partnership has developed, with a number of pupils also playing with the local club. Mr McKee added: "Our school is right beside the football field, so some of our coaching sessions take place there, or in the community centre, which is beside us as well. "Tullysaran also have camogie teams, and we have had coaches from O'Connell's come in to host an introductory session for our P1 and P2 girls, to raise their awareness of camogie, and it was very well attended. "Our older girls have participated in camogie blitzes as well. An assistant in the school, Hayley Morgan, assists with all our blitzes." There's also a link with the Duiche Neill Hurling Club from nearby Benburb, in neighbouring Tyrone, with the club providing coaching, and some of the children now representing the club. "A healthy body creates a happy mind, and it's a good balance between participating in sport and academic work," said the school principal. "Their attitude, their mood and their enthusiasm towards learning have all been very good, so I believe it has had a beneficial effect on their learning. "Personally, I have a great passion for gaelic games, I think it's a great sport to be involved in, and I feel that the enthusiasm of the children for it has improved, and their participation in gaelic games is improving their mental and physical health, which is very important."